It’s turned out to be a fantastic year for elderflowers round here and particularly on a sunny day the scent is pretty intoxicating. 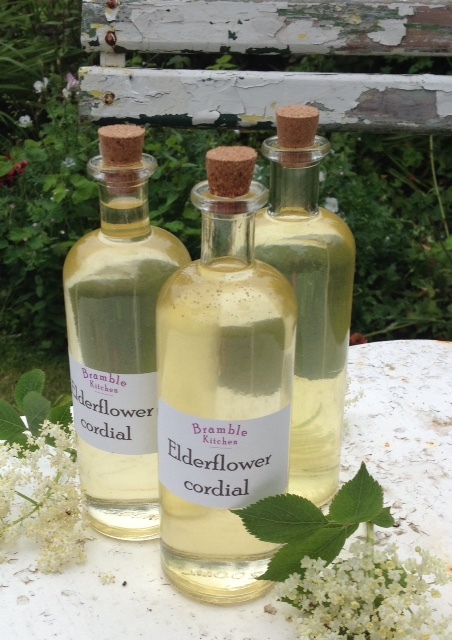 I reckon everyone round here is busily making elderflower cordial- I know this because every chemist in a 25 miles radius has sold out of citric acid which you need to make the stuff. 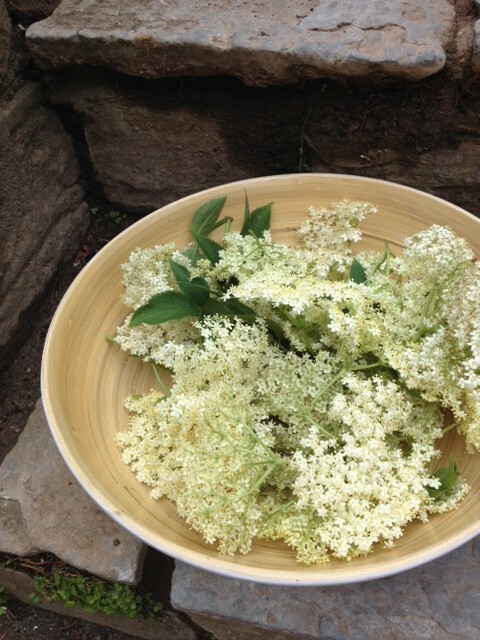 So I set about making elderflower gin instead. I could wax lyrical about how fantastic it is, how everyone who has tasted it can’t stop at one glass(you know who you are) but what I’d prefer is for you to get out into the countryside before it is too late, gather up a bagful of creamy blooms and make some for yourself. Here’s the recipe which is child’s play to make and ready to drink in a week. Shake each flower head upside down to release any creatures hiding in the flowers, then put them in a large wide necked jar. Pare the zest from the lemon in wide strips, avoiding the white pith if possible, then add to the jar with the lemon juice, gin and sugar. Put on the lid and give the jar a good shake to dissolve the sugar. Put a sheet of cling film directly on the surface on the liquid to avoid the flowers turning brown(though it doesn’t affect the flavour if you do get a bit of discolouration) Seal the jar and leave in a cool dry place for a week. Strain the mixture through a sieve lined with muslin then pour into bottles.Your elderflower gin is now ready to drink. Keep a bottle in the fridge or freezer and serve in chilled shot glasses, or for a longer drink top up with fizz or tonic water. 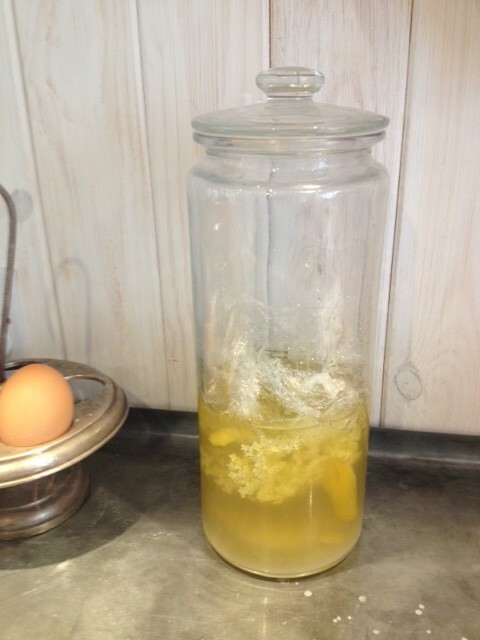 This entry was posted in preserves and tagged alcohol, elderflowers, gin, summer on 21st June 2016 by marycadogan.